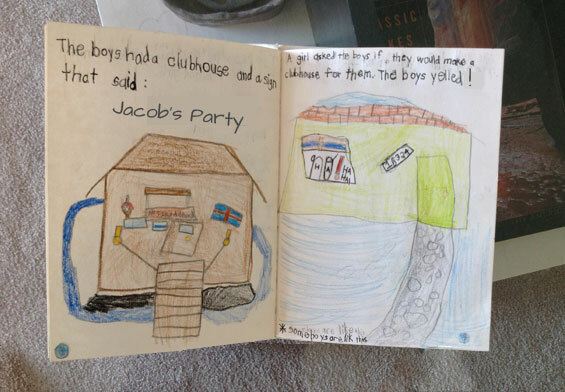 When Jacob was in third grade, his class studied autobiography. As a part of the unit, he was asked to write an autobiography — his very own “Story of Me”. The first time I read it, I savored every word. I laughed out loud as Jacob sweetly chronicled his birthday parties — a Sesame Street-themed party when he was four; the Ultimate Race Car Party for birthday number five; a “Dress Up as a Dinosaur” party for his sixth birthday; and when he turned seven, the Best LEGO Party at fabulous Charles H. Wilson Park in Torrance. Now, years later, Jacob is a young man and from time to time, I enjoy re-reading his “Story of Me”. My heart is filled with love and gratitude as I realize how much these celebrations meant to Jacob when he was a little boy. With a bit of planning, you too can create a fun and memorable birthday party for your child. Here are a few tips to help you along the way. Select a back-up site in case of bad weather. Could you use the garage, living room or family room? By booking the Ultimate Race Car Party or the Best LEGO Party, you can check “games and activities” off your To-Do list. Hurray! Create a menu based on the theme. Click here for creative Race Car party food ideas. For a LEGO party, feature food shaped like LEGO bricks. Serve rectangular sandwich stackers, block-shaped JELL-O Jigglers, musubi and skewered cubes of cantaloupe, honeydew, watermelon and pineapple. Kick off the festivities with games and activities. Then, move onto lunch or snacks, piñata, cake and ice cream, and party favors. Let the theme inspire the decorations. Click here for suggestions for LEGO party decorations. For a Race Car party, turn a hallway into “lanes” with a black plastic runner and white masking tape. Place orange traffic cones around the lanes. Make traffic lights by painting empty shoe boxes with black spray paint. Then, glue red, yellow and green paper circles onto the boxes. Ask the auto parts store for empty cases of motor oil or engine additive. Stack them up to boost the automotive vibe. Click here for suggestions for Race Car party favors. Home-made car-shaped cookies are also popular with kids. LEGO toys are the perfect favors for a LEGO party. You could also use a mold to make chocolate LEGO mini-figures. Wrap the mini-figs into individual packages or place them on top of butterscotch brownies or Rice Krispies treats. Prepare a space about the size of a two-car garage to accommodate the Ultimate Race Car Party or the Best LEGO Party. Decide if you want to publish party photos and videos on our Facebook page, YouTube channel and website. We’ll arrive 30 minutes before the party begins to set up the Ultimate Race Car Party or the Best LEGO Party. Red and black balloons complement the Race Car partytheme. Cover the table with a black-and-white checkerboard tablecloth and accessories like toy tires, mini-trophies and “chrome” items. Display the party favor bags in a tool box or tool chest drawer. Want to give the kids more time to play? Consider Optional Overtime. Ask your guests and their parents for permission if you’d like to publish your party photos and videos. Send your photos to us and we’ll create a photo album for your party and publish it on our Facebook page. Send your videos to us and we’ll publish them on our YouTube channel, Facebook page and website. We’ll send you the links so you can share the fun with your guests, family and friends.